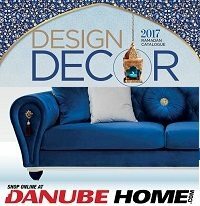 Danube Home Opened in 2007 in Dubai is the Home Interior Retail arm of Danube Group; the leading Building material company in the Middle East. Today, the group offers more than 25,000 products and has over 5.5 million sq. ft. of logistics and warehousing area. One of the key feature is that Danube Home offers free interior design consultancy services across all its showrooms. Customers can just walk in with their floor plans and get their interiors designed by professionally trained designers based on their individual taste and preferences selecting products from the widest range at Danube Home. The product portfolio of Home includes Furniture, Home Decor, Luxury Sanitaryware, Outdoor Furniture, Ceramic Wall & Floor Tiles, parquet Flooring, Elegant Curtains, Wallpapers, Window Blinds, Chandeliers, Carpets, Home Decors, hardware Tools and many more building materials and home interior products. Danube Home is the one stop shop for all your home furnishing needs. The Furniture retailer provides innovative products and services to improve the Lifestyle. One of the key feature in Danube … see more.. Enjoy a 0% Installment Payment Plan for 3/6 Months on all purchases made with your ADCB Credit Card on the extensive range of high quality home interior products, dazzling Chandeliers, Wallpapers, Carpets, … see more..